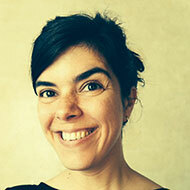 Marta joined the Sustainability Research Institute at the University of Leeds in December 2012 as a research fellow. She recently secured a Met Office University Academic Fellowship. Marta is also a Co-I on the Coperncius (http://www.copernicus.eu/) project Sector Engagement for C3S, Translating European User Requirements (SECTEUR) where she leads the user engagment across European sectors. Prior to her work at Leeds, Marta completed her PhD in Scotland on climate change vulnerability and adaptation funded by the Scottish Alliance for Geoscience, Environment, and Society (SAGES). The PhD project aimed to contribute to current understanding and knowledge of climate change vulnerability assessments (CCVA) by exploring the main challenges encountered whilst performing a CCVA in Scotland. At a more conceptual level, the thesis also examined how the conceptual and analytical elements of CCVA described in the climate change literature as critical can be pursued in practice, and the existing agency at the local level in Scotland to act upon the outcomes of such local vulnerability assessments. Prior to starting her academic career, Marta worked as a policy planner in the UK focusing on developing climate change planning policies at the local level and working on related activities (public consultation, strategic environmental assessment, GIS, and monitoring).